Once you've set up your new store or shop you'll need to complete the following in order to use Bizimply effectively in the new location. When a new location has been added the sales area metric wont update automatically therefore the following steps are here to help let up the new location. 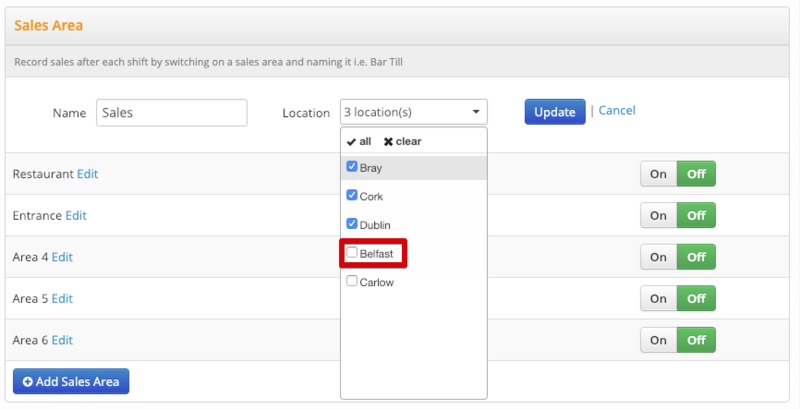 When setting up a new location you'll need to ensure the correct sales areas are selected in the Shift Log. 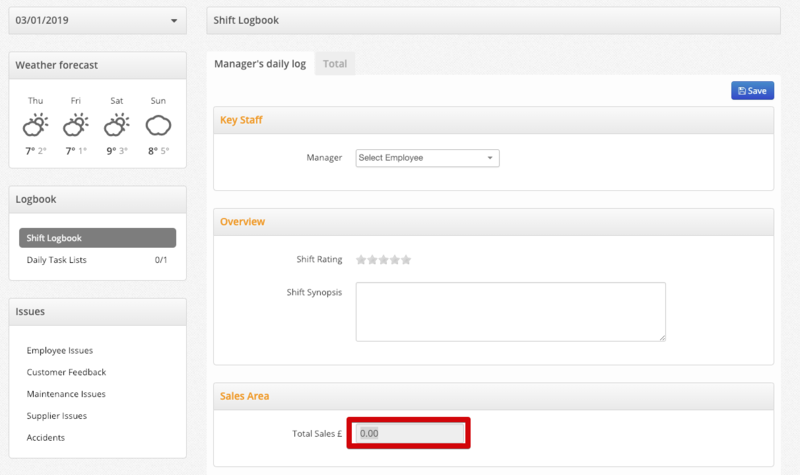 Generally when accessing the shift log within the new location, you'll see that the sales area field is greyed out and cannot be filled in. See image below. You'll now find a drop down menu containing the locations that are currently setup on that metric. Select the new relevant location. This will add the sales area to the shift log for that location.